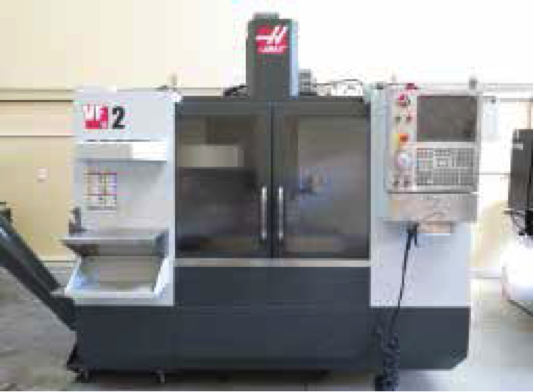 2012 Haas VF-2 CNC Vertical Machining Center s/n 1092760 w/ Haas Controls, 20-Station ATC, CAT-40 Taper Spindle, Vector Drive, 8100 RPM Spindle, Programmable Coolant Spigot, Rigid Tapping, Intuitive Programming, USB Port, Chip Auger, 18,938 ON Hours, Coolant. 2000 Bridgeport / Proto Trak 2-Axis CNC Vertical Mill s/n 214397 w/ SWI Proto Trak EDGE Controls, 2Hp Motor, 60-4200 Dial Change RPM, R8 Spindle, Chrome Ways, 9” x 48” Table. Goodway mdl. GW-1440 14” x 40” Geared Head Gap Bed Lathe s/n 68078 w/ 55-1800 RPM, Inch/mm Threading, Tailstock, Steady Rest, Trava-Dial, 5C Collet Closer, Aloris Tool Post, 12” Face Plate, Coolant. Hardinge mdl. HC Hand Chucker s/n HC-6072- T w/ Threading Attachment, 125-3000 RPM, 8-Station Turret, Power Feeds, Trava-Dial, 5C Collet Closer, Cutoff Attachment, Northfield 4” 3-Jaw Pneumatic Chuck, Coolant. Powermatic mdl. 87 20” Vertical Band Saw s/n 687060 w/ 47-4000 Dial FPM, Blade Welder, 24” x 24”Table. Central Machinery 7” Horizontal Band Saw w/ 4-Speeds, Manual Clamping, Coolant. BelAire / American IMC mdl. W338V 5Hp Vertical Air Compressor s/n 15018 w/ 80 Gallon Tank. Accu-Finish Series II Precision Tool Lapper w/ Diamond Wheels.